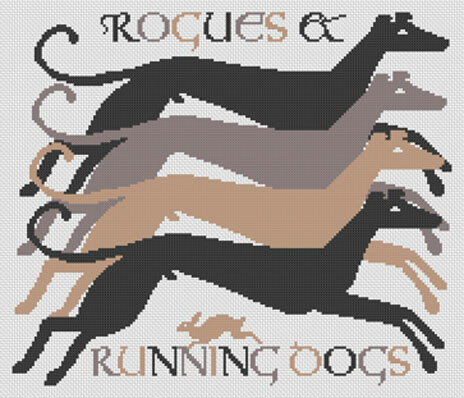 This design is named after the seminal book by Brian Plummer all about lurchers and their raffish owners. Sadly this old lurcherman is no longer walking the old green ways with his dogs, he was the last of a kind and is sorely missed by those of us who follow the fancy. This design is very adaptable and could equally well be stitched up as a small picture or as a big, cuddly cushion. You pays your money and you takes your choice. It is also one of a pair, the litter mate of Lurchers & Longdogs.